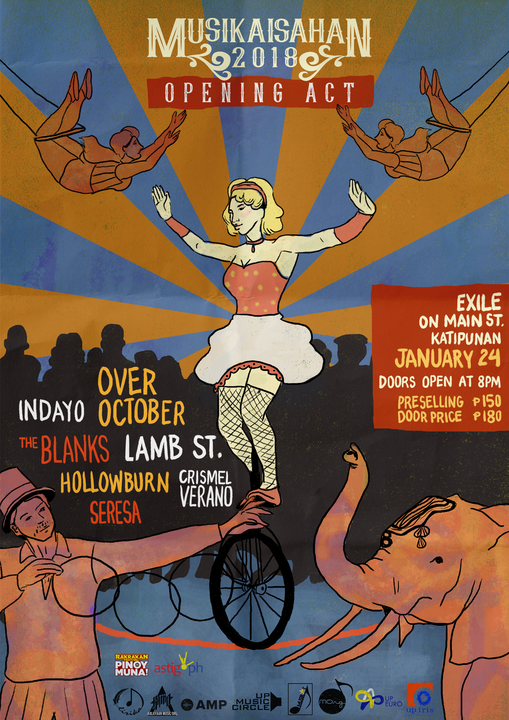 Witness performers from far and wide such as Over October, Lamb St., Indayo, Seresa, Hollowburn, Crismel Andrew Verano, and The Blanks! Come one, come all and witness this musical spectacle! Contact 0917 8063 305 to avail preselling tickets.